Dave and I really enjoyed the extra hour today. Instead of getting up late...we were up early and had "extra" time to walk the dogs. It was just one of those days that makes you really glad to be alive. As we walked along a farm road, Dave noted the dark berries hanging high up in the trees growning along the hedge row. The berries are attached to a vine loaded with thorns. We cut down a long portion of the vine and brought it home. I was really careful not to let any of the berries fall on my land. This vine is not one that I want growing here. But I do love to spread it along my fireplace mantle. It's perfect for the season! Their deep rich green/black color along with the light green leaves make me think of a quilt border. and the way the pod curls after you open them up. Isn't nature wonderful? Wishing you time and lovely weather to enjoy the pleasures of the season! Those berries are beautiful! I grow a lot of sage, but have never tried them fried. Will have to give it a try. Glad to see that I'm not the only one who finds beauty in the common bean! Aren't all those colours beautiful, Alma. Sometimes, we get so carried away with the gorgeous russets, the blazing reds and the burnished orange of Autumn that we don't notice the soft subtle fading greens and the deep purples. We sometimes agonize over what colour goes with what and does this colour clash with that. I don't think Nature ever gave that one minute's thought, she just threw them all in together and let them get on with it, and d' you know what - they did...haha! I've never seen scarlet runner beans before--so pretty!! The extra hour is great today. I'm enjoying it as well and I'm sure when my alarm goes off at 6am, I will feel better too! Lovely colors! I love greens and deep purples!! You amaze me with all you do! I never heard of fried sage. Thanks for sharing your day. Any "peeks" available of your next loose feathers or stockings? That's a new one! Fried sage, never heard of it. 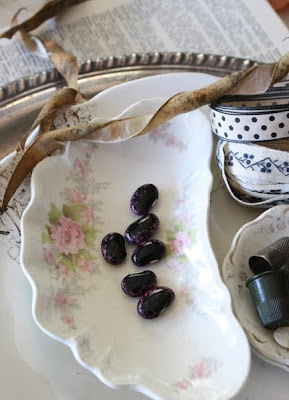 The color of your scarlet runner beans is gorgious. Perhaps a nesw patterns in a line of "Garden boots" instead of "Christmas stockings"?? LOLLOL. Have a nice day today! Nature is wonderful. Glad you were able to enjoy it. Cut up new potatoes, shake them in a ziplock with olive oil and then roast them on a sheet pan with salt and pepper. While roasting the potatoes, start browning a half stick (or less) of butter in a small pan. Keep a good eye on it so it doesn't burn. Cut up a bunch of sage leaves and when the butter is brown throw in the sage leaves and turn the butter off. (It will foam up but don't worry) When the potatoes are done, pour them into a bowl and pour the sage butter over top, stir and serve. It is soooo good. 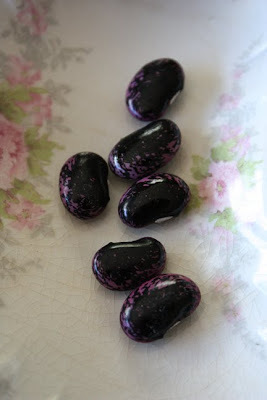 Our Scarlet Runner beans were in three asst colors this year - the purple you showed, and an orange and a tan-ish brown. They remind me of the beans that were given to Jack when he sold his cow in Jack and the Beanstalk! 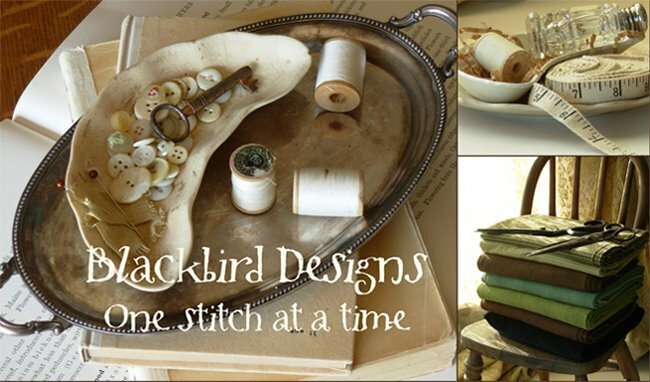 I love your new inspiration and I'm thrilled to tell you my daughter has ordered a cross stitch book from you. I love the scarlet runner bean picture. Beans are so beautiful - tiny little gems of amazing colors. 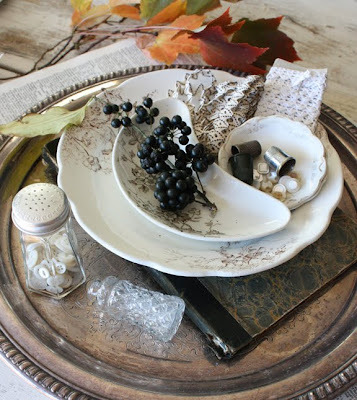 I also love the brown transferware plate on the silver charger. Please do you have a pattern name for that? و التى توفرها لكم عملائنا الكرام افضل مؤسسة نقل أثاث بجازان و تكون مقفلة جيدا للدفاع عن العفش و الأثاث من الاضرار التى تنتج اثناء اعمال النقل .